Seton's Fork Lift Tags are backed by our 100% Satisfaction Guarantee! 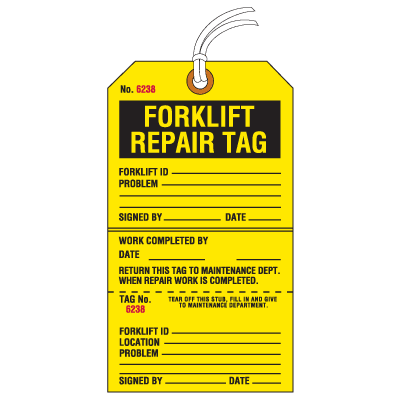 Select from a wide variety of Fork Lift Tags at competitive prices. Plus most of our top-quality Fork Lift Tags are in stock and ready to ship today. 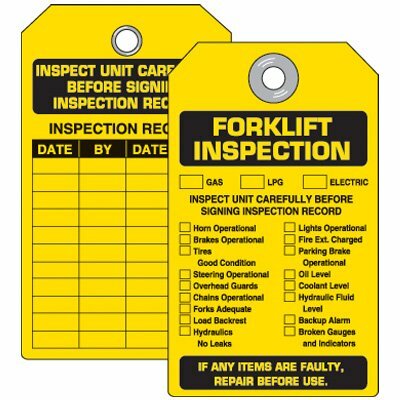 Forklift inspection tyvek tags inform employees and keep track of forklift inspections. 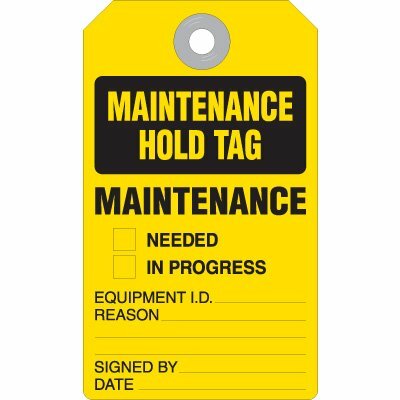 Forklift Inspection tags provide accountability for the inspection of forklift equipment. Inform employees of forklift status to reduce the risk of accidental operation and possible injury. Emergency Shower Inspection tags provide accountability for the inspection of forklift equipment. 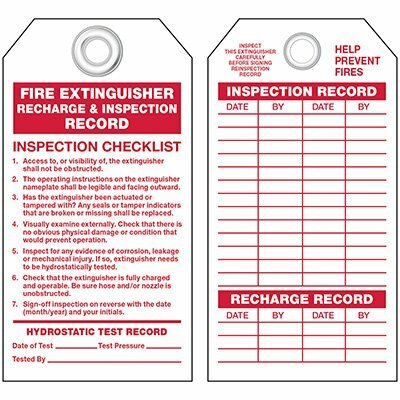 Fire Extinguisher Inspection tags provide accountability for the inspection of forklift equipment.